Are you ready to board the future flight to TravelTopia? Collinson Group has been presenting their Airport Experience – Customer Relationship Research at the Hamburg Aviation Conference for several years, and has been doing so again in 2018. This year’s research offered up to date insights in terms of changing perceptions among global travellers in terms of their airport experiences. An annual study through which Collinson Group spoke to 2,800 travellers in the UK, Germany, France, Singapore, Hong Kong, USA and UAE - the Airport Experience survey specifically looks at consumer expectations in relation to convenience and customer service, how purchases can be transformed into a rewarding experience, and how opportunities exist through data and new technologies. Check out the “smarter journey” experience. ...and the future of travel? Understand what blockchain is and how it can help to transform your business. For distribution alone blockchain will be a game changer. The start up Winding Tree is a blockchain-based decentralized open-source travel distribution platform. It changes the game of how to work with third parties and makes travel cheaper for the end user and more profitable for the suppliers. No centralized control means no exorbitant transaction fees and no barriers for entry. Winding Tree allows small companies to compete with big players, finally bringing innovation back into the travel industry. Dave worked on distribution via blockchain while studying at the OSHM in 2015. His work laid the theoretical foundations for Winding Tree. After working as a Research Analyst at Skift, he joined Winding Tree as Head of Strategy. Peter Glade, Commercial Director at Sun Express, and David Friderici, VP and Head of Product Management & Strategy at IBS Software presented together the partnership related to Sun Express's PSS migration to the IBS ifly system. Sun Express has a high share of tour operator business and looked for a solution to be able to offer a proper customer experience regardless of whether customers booked diretly or via tour operators. Peter explain's the business issues they had, and David describes how IBS is solving them. A unique joint presentation by airline and supplier, illustrating that in today's world where flexibility counts having the right partner is crucial in order to develop continuously and to keep innovating. You can also watch the whole presentation via our live stream here. Peter Glade has been Commercial Director at SunExpress since 2016, responsible for sales, marketing, network planning and revenue management and customer relations. Previously, he was with Austrian Airlines, where his latest responsibility was VP Corporate Strategy and Partner Management. Between 2004 and 2012 he held management positions with Star Alliance, among others as Director Market Development and Sales. Peter started his aviation career as a trainee with Lufthansa and worked for Accenture management consultancy for a couple of years. SunExpress was founded in Antalya in October 1989 as the joint venture of one of the world’s leading airlines, Turkish Airlines and Lufthansa. Operating its first flight in 1990, the company blends the know-how of German and Turkish aviation leaders thanks to its solid shareholder structure. Operating touristic charter flights between Europe – specifically Germany – and Antalya for a long time, SunExpress became the first private airline company to offer international scheduled flights from Turkey with its first Antalya-Frankfurt flight in 2001. The timetable of scheduled services was expanded with the introduction of Izmir as second hub in 2005 with numerous flights to and from the third-largest city in Turkey. Increasing its scheduled flights from year-to-year, SunExpress opened its 2nd base in İzmir and started to operate domestic flights in 2006. With this launch, SunExpress became the first airline company to connect İzmir with Anatolian cities with direct flights in Turkey. The company announced a comprehensive re-branding and product enhancement project by the end of its 20th anniversary, which was celebrated at an event in Antalya on May 1st, 2010. At this event SunExpress welcomed its next 20 years with the delivery of the first of six newly purchased Boeing 737-800s and launched its new corporate identity including its new logo, aircraft livery, new corporate colours, uniforms and entire visual identity elements. SunExpress also revealed many brand new features to create extra quality and value for its customers. The launch of SunPoints – SunExpress’ frequent flyer programme – and direct flights between Anatolia and Germany for the first time in Turkey were other highlights of 2010 for SunExpress. SunExpress was given a further boost in 2011 with the foundation of SunExpress Deutschland GmbH. The company started business operations in June 2011. Besides the Turkish destinations on the South Coast, on the Aegean, on the Black Sea and in the East of the country it also serves – with German registration – attractive destinations on the Red Sea and on the Nile in Egypt, Canary Island(Spain) since November 2011. Last year Frankfurt – Hahn and Varna (Bulgaria), and this year Batman, Bremen, Enfidha (Tunisia), Lefkosa and Strasbourg were added to the destination portfolio. Furthermore, SunExpress also decided to invest in its building and SunExpress Plaza was built in June 2012. The new company building is “environmental friendly” and is located in a natural setting. The architectural theme of the building is transparency and naturalness, therefore each room has been designed so that it has access to natural light and fresh air. Antalya’s famous sun is also a source for clean energy inside the building. The solar panels on the roof generate enough electricity to supply power to all of the computers. SunExpress can therefore do work without harming the environment. On the exterior of the building special new “smart” glass panels have been used to allow sun rays to shine inside the building while blocking out unwanted heat to help reduce cooling costs. Antalya’s famous orange, bergamot and lemon trees have been planted in both the interior and exterior gardens. 2014 is a year full of positive and fruitful challenges and changes for SunExpress. In February the company signed a contract with Boeing for the purchase of 50 new aircraft. Firm order was placed for 40 Boeing 737-800NG and Boeing 737-8 Max as well as ten options. With this purchase SunExpress set the course for the future: For further profitable growth and healthy development. The new aircraft – delivered between 2015 and 2021 – will incorporate the latest technology (newest engines, winglets etc.) to deliver a 14 percent fuel-efficiency improvement over today’s already low per passenger consumption on 100 flight km of only 2,7 liter. At the same time SunExpress announced also the introduction of a new fare and service concept beginning in summer 2014 based on graduated fares with different services. The passenger can chose between three fare levels, ranging from favourable priced flights without any additional service, right through to the premium offer with many extras. The service SunExpress levels are called SunEco, SunClassic and SunPremium. SunExpress takes inflight entertainment to fresh heights and becomes the first airline worldwide to introduce the wireless flight entertainment system from the Irish company “Media in Motion”. The new system allows passengers to access an onboard network via their own mobile devices (phone, laptop or Tablet) view a movie, read a newspaper or order entertainment and catering from the crew out of their seat. The choice is with the passenger – under this headline SunExpress continues to develop various options for its guests to create exactly the product they expect. David Friderici is Vice President & Head of Product Management & Strategy of Airline Travel Services (ATS) at IBS Software Services. He manages a wide portfolio of products across airline passenger services and airline staff travel domains. He is currently spearheading the development of the iTravel platform, a sophisticated, multi-layer e- commerce platform for airlines, tour operators, TMCs, OTAs, Cruise Lines and Hotels, at IBS. David has over 24 years of experience in travel technology and uses his comprehensive understanding of the travel industry in defining the vision and future roadmaps of the products of the Airline Travel Services portfolio. David is part of the NDC working group at IATA and has been instrumental in the release of the firstly natively compliant NDC passenger service system of the industry. His foresight has ensured a strong focus on NDC compliance in the new iTravel platform as well, allowing aggregators to consume NDC content and travel organizations to behave like NDC suppliers. Prior to joining IBS in 2010, David was the Director- Product strategy, at HitchHiker GmbH., and specialized in air fare management, air fare distribution, ticket automation and development of B2B and B2C e- commerce booking engines. His expertise covers a wide array of domains such as shopping engines, routing network engines, fares distribution & next-generation e-commerce solutions. He has worked with clients like British Airways, KLM, Lufthansa, American Airlines, Amadeus, TUI, Kuoni, Travel2/Travel4, Travelocity Europe, Opodo and others. High street retail stores keep closing, yet travel retail at airports is higher than ever. Extensive research and experience from more than 50 airports shows how airport design is evolving in relation to changing consumer trends and retailer requirements. You can also listen to the full presentation by Alex Avery, Managing Director at Pragma Consulting via our live stream here. Alex has wide-ranging international experience of leading commercial strategy projects around the world, with a particular specialism in airports, travel retail, and mixed use commercial developments. His clients include leading airport operators and commercial developers, brand owners and private equity investors. Core to the delivery of these projects is undertaking detailed research and analysis concerning customer profiling, space planning and revenue modelling, in order to optimise the commercial offer and experience to end user needs. Talea Buchwald, Senior Portal Manager for the DB Navigator App, describes along the customer journey how customers benefit from the DB navigator as a travel concierge, helping them to spend their time for their own priorities rather than wasting it for travel planning purposes. Talea Buchwald is portal manager for the DB Navigator App at Deutsche Bahn. In this position, she is responsible for the mobile device strategy and ensures the continuous improvement of sales performance and customer satisfaction. Currently, she is in charge of the development of new backend services, the focus of which is to provide automated travel companion features across all customer touchpoints. Before taking up this role, Talea held other roles with Deutsche Bahn, among others heading business process management. She also worked for Braingame Development and JWT. At our think future event 2017 we presented chatbots as the "hot topic of the year”. Since then, news about launches of chatbots and hew achievements for artificial intelligence have not stopped. What happened? How successful are they really? And what are critical evolutions in the area of digital customer experience, personalisation, mobile. Hear from Jonathan Newman, Chief Commercial Officer at Caravelo about real life experiences from European airlines. Listen to Jonathan via our live stream here. Jonathan has been CCO with Caravelo since 2016. Previous experiences include senior management roles with Etihad Airways and Air New Zealand. Caravelo is a Barcelona based technology company specializing in solutions for the airline industry. They enable airlines to grow incremental revenues, expand their distribution and improve their process management with products that are intuitive, innovative and market leading. And check out how ( caravelo ( did win the IATA Hackathon. The world of the hyper connected consumer is moving from physical to digital assets. 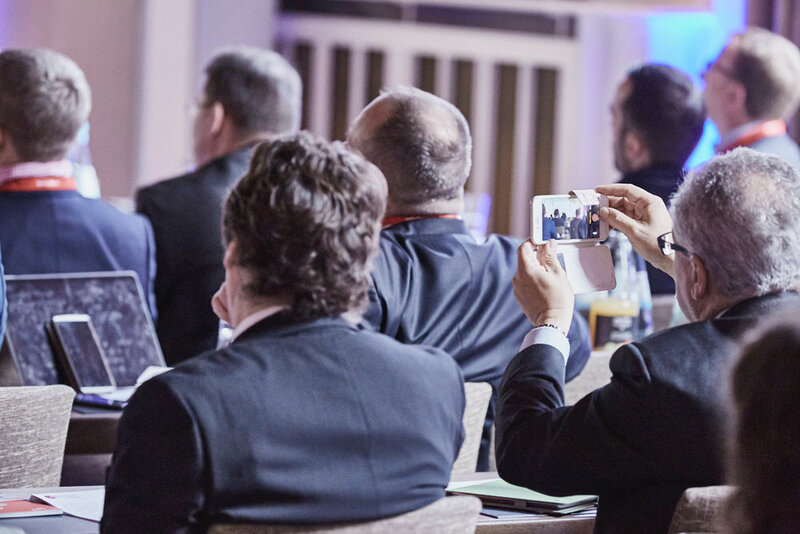 Examples such as Uber, Amazon, Google, Apple, Expedia, WhatsApp and more illustrate that the enterprise value of the future is about how well an organisation develops their digital assets for the benefits of customers and employees as Bratati Ghosh, CMO at IBS Software pointed out clearly in her keynote speech at the Hamburg Aviation Conference - think future 2018. Bratati illustrates how innovation changes the world with the example of her experience when visiting her home town Calcutta, arriving with her mother at a crowded airport and having to walk long distances in the heat with lots of luggage, just to have a chance of getting a taxi. Pre-ordering had not been possible. With Uber, all of this stress was suddenly gone. But Uber also illustrates how company value is moving from physical assets to digital assets. Bratati explains that not only start ups but also more traditional organisations have an enormous innovation potential which can be activated. They key to transformation is breaking down silos - internal and external ones with other parties. Organisations need to leverage the potential they have instead of burying it under layers of hierarchies. Watch Bratati's impressive keynote speech on our youtube channel. Bratati Ghosh joined IBS as its Chief Marketing Officer (CMO) in May, 2015. Bratati has over 18 years of experience in building high growth technology-enabled businesses. She was on top of massive industry disruption in Worldspan as one of the first employees in the budding Internet division. This became more than half of Worldspan’s total revenue by the time she left 6 years later. Antonio Rigon, CTO at Planitas Airline Systems talks about how to make data happen. He describes several use cases for airlines, from accurate revenue forecasting to ancillary revenue optimisation, optimised partner agreements such as codeshare and interline ones and unique customer identification. Listen to Antonio and the data panel on our youtube live stream here. Antonio Rigon has joined Planitas Airline Systems in 2012 where he served in different positions eventually taking over the technological agenda in early 2017 as Chief Technology Officer. Antonio holds a MSc. in Computer Engineering from Università degli Studi di Padova, one of the oldest universities in Europe. A passionate and experienced executive in the airline software industry with a solid technical background and capable of managing teams, complex software projects and a product roadmap in an agile environment with remarkable sensitivity to business objectives, deadlines and technical constraints. Before getting involved with the airlines business, Antonio held various software development positions in the financial sector with Infracom SPA in Italy and then in SAP BusinessObjects in Dublin, Ireland where he lived for 8 years. He is now based back in Italy, very conveniently within easy reach of a number of international airports. Travel retail becomes more and more important for airports as well as airlines, in times of decreasing yield and revenues. In addition, shopping behaviour and consumer expectations have changed. The travel retail market has started to be disrupted. Manuel Heidler, Director Aviation Products at AOE gives examples how digitalisation can help to innovate in the travel retail sphere. Ultimately it can also help airports, airlines and retailers to work together in an integrated way for the benefit of the consumer, and for increased revenues. It will require the business model to be thought through as a basis. Listen to Manuel's presentation at think future - Hamburg Aviation Conference 2018 via our live stream. Manuel Heidler has a long standing track record in technology and development, predictive data analytics and digitalisation. Before joining AOE he was Managing Director at Beontra. He had been a driver for the development of the scenario planning suite at Beontra. In his current role Manuel focusses on the rollout of the OM3 suite to the travel retail industry in order to build the industry leading aviation digitalisation platform. AOE is a leading global technology service provider and consultancy, offering Open Source-based Enterprise solutions for digital transformation and Omnichannel E.-Commerce as well as mobile apps and web portals. Customers in the travel space include Auckland Airport, Frankfurt Airport, Heathrow Airport, Condor and Thomas Cook. Flight disruption costs the travel industry up to $60 bn annually. The number of disrupted travellers will continue to grow as passengers numbers increase, airports reach capacity whilst strikes, storms and other weather outbursts and security alerts occur regularly. Brilliant communication can help to create customer engagement - and turn irregularities into an opportunity and not only turn the client into a brand advocate but also for additional revenue opportunities as well as cost savings. Rachel points out numerous examples along the customer journey how this can be achieved. Watch her presentation and the following panel on our youtube live stream. Rachel has been Marketing Manager with 15below since 2012 and introduced dynamic practices and approaches. Before 15below she had been working with Motorola. Farkonda Haschemzada, corporate strategy at Fraport, describes the basic concept of the data lab at Frankfurt Airport. She explains two use cases, a ground handling forecasting model and increasing retail revenue through optimized aircraft positioning. Listen to Farkonda and the following panel via our live stream here. Big data have become a buzz word, yet it is not about the lack of data but many organisations simply do not know where to start, how to approach large data projects and teams, what the use cases could be and how to get access in real time to relevant data. Hear about examples for use cases for process optimisation, benefitting efficiency and customer experience, more return through personalisation and predictive analytics, understanding dark data and more. Farkonda Haschemzada is a member of Fraport AG’s Corporate Strategy department. Her main areas include air cargo and the digital transformation of airports. She also contributed to establishing Fraport AG’s Smart Data Lab, which is aimed at gaining useful knowledge from the company’s vast quantity of data. She continues to serve as co-project leader for the Smart Data Lab. Farkonda Haschemzada, who holds a degree in business administration from Kassel University, Germany, joined Fraport AG in 2008. Innovative approach how airport branding and digital presence can increase customer engagement and awareness and loyalty for the airport. By Eli Lejeune, Marketing Manager at Eindhoven Airport. Find Eli's linkedin profile here. Torben Tost, Digital Transformation Manager at Hamburg Airport, explains how Hamburg Airport turned messaging into opportunities to improve customer experience and efficiency., and what other innovations Hamburg Airport sees on the horizon to implement. From bitcoin to blockchain, chatbots to wearables, we live in an age of new technology & accelerating innovation – communicating with your customers in a seamless and secure way has never been easier. But with so many options – which technology do you choose? And how do you know you’re making the right decision when it comes to investing your – and your company’s - time and money? Consumer – and business – adoption of new technologies shows us a glimpse of the not-too-distant future of passenger communications. Understanding these prominent trends today will help you stay ahead of ever-changing consumer expectations, and lead you to actionable opportunities in the future. In this webinar, we investigated the need-to-know technologies to help you understand the ‘Bigger Picture’. We identified the true innovations you need to watch out for, and looked at how you can future-proof your business for what’s to come. Identify the technologies you need to look out for in 2018…and the ones you don’t. Tech that never took off in the last year – and why? oVR in travel - but will it still take off, now that it might get ubiquitous? oBlockchain – will it/won’t it? oInnovation labs - but will they succeed? oKey Point: Innovation is a slow-burning process with multiple, small iterations and long-term investment that moves everything forward. oKey Point: Be open to new technologies, new channels, new methods of working. The future depends on contact data – or does it? You find Future tech you need to know about for 2018 split by subject area here. Should you wish to listen to the whole 60 minutes webinar, then just click here. The webinar took place on 5th October 2016. It was organised and moderated by 15below. Learn about latest trends to foster innovation in the aviation industry. This presentation was discussed by Bratati Gosh, Chief Marketing Officer and Global SaaS Leader at IBS Software Services with thought leaders and top industry managers at the Hamburg Aviation Conference 2017. IBS Software Services have made innovation part of their culture and philosophy. Disruptions are becoming the norm in today’s world as incumbents are faced by an onslaught of innovation from newcomers across industries. Only the companies which are cognizant of the disruptors and respond with agility can survive. Are some Airlines managing this more effectively than others? Founder CEO, XXL Solutions. Expertise in Digital transformation & change management, innovation and customer experience, loyalty, distribution & sales, new revenue models, modern marketing & communication, analytics & decision support & tailor made research /market intelligence. CFO, IBS Software Services. Business leader with hands-on experience in management, investor relations, strategic planning, mergers, acquisitions, financial planning and control. A new report commissioned by IATA's Industry Affairs Committee highlights the opportunities and challenges facing aviation up to 2035. Carried out by the School of International Futures, the study looks at how external forces—from geopolitics to technological innovation and environmental concerns—could shape aviation’s future. Alun Rhydderch, who was instrumental for the report for the School of International Futures will participate at our think future event 2018 and give further insight. Whilst direct distribution increases, the role of RM has become even more important than before in terms of revenue creation and optimisation. It is important that this is realised by top management and other departments. Ideally, there should be joint meetings discussing the strategy. And RM would become more active and a driver in terms of commercial strategy whilst it often has been left alone focusing on their analytics. This led to silo thinking and diverging objectives for sales and other areas. The common entity is the customer, and the customer cannot be dealt with in silos.